It's no secret that today's technology sector is interested in software-defined storage (SDS) -- you'll often hear talk of its ability to reduce costs and increase simplicity. But while many companies are pointing to their technology as SDS, most only have a portion of what’s necessary to be considered truly software-defined. In order to fix this confusion, we need to agree on a concrete definition of SDS in order to get the best use of the technology and understand how organizations can use it as a cost effective data management solution. We spoke to Ashok Rajagopalan, head of products at elastic block storage provider Datera, to understand this hype and find out how vendors in today’s cluttered market can stand out as true SDS solutions. 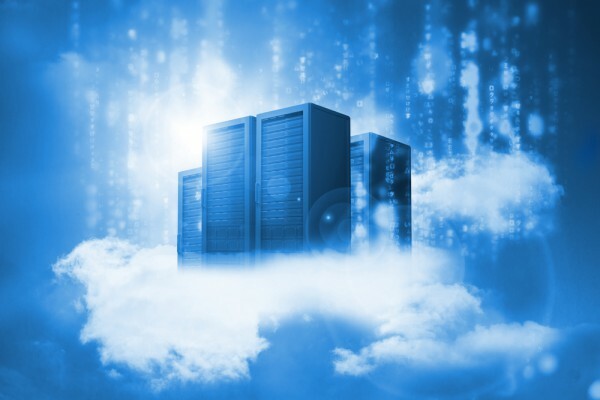 BN: Why is there such hype around software-defined storage? What benefits are causing organizations to flock towards these solutions? AR: The market is buzzing with talk about software-defined storage, given that the technology has many benefits for companies of all sizes. First and foremost, it gives these organizations the ability to grow and scale their infrastructure at a much lower cost than industry alternatives -- with more flexibility. In fact, since its introduction, the technology has boasted the ability to reduce operational costs and storage capital. It also makes it easier for companies to update their existing storage architecture without having to rip and replace any hardware already intact. SDS provides a simplified management option as well, letting companies make necessary adjustments to hardware infrastructure in light of evolving industry requirements. BN: If software-defined storage is so great, why doesn't every organization implement it? AR: This is a two-fold answer. First, industry experts have been known to discuss the underlying problems with SDS. When you consider complexities that come with using existing infrastructure and combine that with the lack of cloud economics, you might just be setting yourself up for a disaster. However, second and most important is the fact that there is no clear industry definition on what software-defined storage actually entails -- and that is the technology’s downfall unless this changes. Industry experts might be raising valid concerns about SDS, but none of that will truly matter until the industry can agree on one definition of true software-defined storage. For example, what key attributes should the technology have at a minimum? What defines a true leader in the space? BN: So, how should we be defining SDS? AR: In its simplest terms, software-defined storage is when the physical storage hardware is decoupled from the programming that controls software-related tasks. Though, some industry experts take this a step further by saying that true SDS is virtualized storage with a service management interface. Either way, the focus is placed on the actual storage services as opposed to the storage hardware; thus, SDS should deliver hardware flexibility at its minimum. That said, true software-defined storage solutions must have a combination of a few attributes. First and most importantly, are scalability and transparency; as companies evolve and grow, they need storage solutions that can grow with them, as well as a clear view of their infrastructure to make this happen. Next, SDS need to be policy/service-driven -- they offer automatic data placement based on industry policy to ensure performance and cost are aligned. Finally, true SDS solutions are abstracted, meaning that I/O services should be delivered independent of any hardware through constructs like volumes, repositories and LUNs. BN: Why is scalability so important to the success of SDS? AR: Companies worldwide need the flexibility to grow their organization based on market need. Software-defined solutions need to give customers the performance and capability to scale without latency. True SDS can provide simple, scalable solutions with the caveat that customers might want to add new applications down the road. They also offer several different kinds of nodes so customers can align performance and cost across application deployments, all supporting the end goal of creating a scalable solution for companies to evolve as they do the same. In fact, we frequently hear from customers that the possibilities of multiple nodes allows them to meet expectations for today’s digital workloads and grow as their own customers do. BN: What effect does transparency of an SDS solution have for customers? AR: As mentioned, true SDS solutions need to be transparent. This gives IT decision makers the keys to monitor their own storage consumption against costs and available resources, as well as the ability to manage as necessary. Additionally, some solutions in the market run as a service -- this has the power to reduce customers' management and operational involvement if desired.